Find My Workspace lists over 95% of the executive office suites market in Boston. Simply click Request Quote to check pricing for one office, or Add to Basket for multiple offices. This phenomenal and contemporary business installation offers an extensive range of premium standard workspace provision and has everything your team needs to accomplish day to day success and to be perfectly equipped to reach the highest possible standards. It has plenty room to fit the whole team around the tables or desk, along with a state of the art flatscreen to present and whiteboards to brainstorm. You will be nothing less than amazed at just how much you can accomplish with a little change of scenery, when occupying some of the most highly sought-after, technologically advanced and professional workspace in the region. 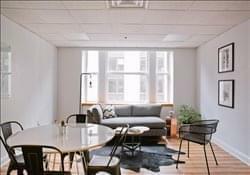 Ideally located in South Boston, this facility boasts private offices as well as coworking space and designated desk membership. Amenities include custom made furniture, coffee and gourmet pastries, 24-hour access with locked offices and flexible memberships. 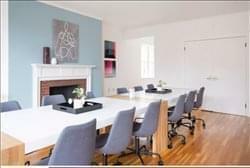 Also included are all utilities, WiFi, mail & package services, unlimited printing & copying, conference room hours and access to national networking events. Tenants also have access to an exclusive outdoor balcony. This center has gorgeous common areas and spacious private offices, with phone booths, conference space, a cafe, and mother’s room. You can enjoy gourmet breakfast, healthy afternoon snacks, member wellness events, wine tastings, happy hours, and more. With the modern appeal and attractive look, this center is a fit for many. 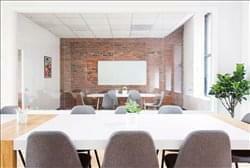 Located on the 7th floor in one of Back Bay’s most beautiful professionally managed buildings. Newly renovated in 2013, this high end center caters to small to mid—sized businesses looking for a prestigious address and an impressive workspace to host clients. All workspaces are dedicated and members receive 24/7 access to their space. Amenities include telephone/internet, receptionist support, cleaning services, and complimentary drinks and snacks. All members have access to common areas such as the kitchen and dining area, media lounge room, and outdoor deck. 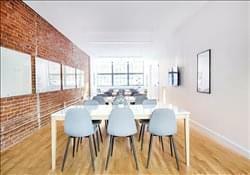 Located in the heart of the Financial District, this location is great for brainstorming in a small team or some personal space to work in peace. This cozy space will be just right for the right up and coming team. 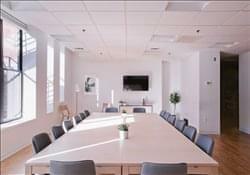 This exquisitely furnished and technologically equipped workspace center has plenty of natural light along with a comfortable lounge area and a large conference table within an additional breakout room. Not to mention there is an en-suite bathroom and kitchenette provided on site for client use. With the high quality and exceptional value workspace suites on offer, in addition to the significant degree of flexibility afforded to tenants and the extensive range of professional services provided also, this center represents the ideal corporate setting and working environment for any client. This conventional and exquisitely furnished office space setting is conveniently located in the vibrant and commercially significant West End and is specifically designed in order to incorporate a specialist and collaborative team setting with ease. Meet with colleagues around the large table or present your boldest idea to a group of potential investors when utilizing this center’s exceptional range of diverse and technologically equipped space types. This location is designed to fit ever office setting you can think of. 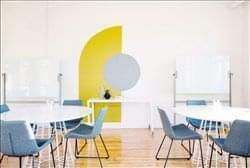 This space also includes a small breakout room with a desk and seating for two. 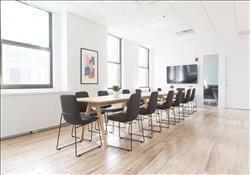 This exquisitely furnished and premium standard business center establishment is located in Fort Point, a vibrant and commercially significant district, and this beautiful corporate working environment is full of natural light and is ready for you to move in. This space comes equipped with a kitchenette, lounge area, as well as whiteboards and a large flatscreen for presenting. The center itself provides plenty of room for professional occupants and visitors to the site to lounge and relax while working but also many quiet private areas, offering a range of settings for particular situations and working requirements. This premium quality and exquisitely furnished office space center will help professional tenants deviate from your normal routine and help enhance working productivity and commercial success with its extensive variety of specialist provisions and technologically advanced facilities, making this center an innovative and state of the art workplace. 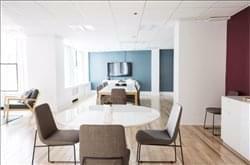 Located in the Financial District, this location comes equipped with a separate breakout room and a lovely kitchenette. Whether gathered around the table to come up with new ideas or seated in the lounge just to relax a moment you’ll have all the space and inspiration you need to do your best work. This incredible and state of the art workspace venue and corporate installation was specifically and meticulously designed to have your team in one collaborative and sophisticated office space, fully equipped with a relaxing lounge area and beautiful windows to provide an abundance of natural light to the interior workspaces and communal areas. 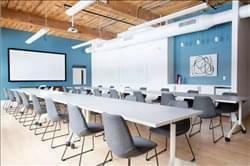 Featuring fast wifi connections, flatscreen presentation facilities and much more; clients are sure to impress your team by selecting this space as your next place of work. The site also provides a number of experienced and specialist support staff, fully trained and on hand hand to assist clients at all times with security, technology and administration. 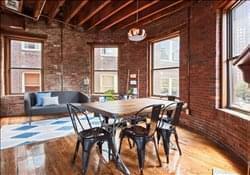 This Fort Point location has tons of character with its exposed brick and wood beam ceilings. It is thoughtfully designed and perfect for a large team. It boasts an en-suite kitchenette, separate lounge area, and both projection screen and flatscreen TVs to fantastic present. This unique community attracts a mix of rock-star entrepreneurs, start-ups, small businesses, and satellite branches across all industries. The newly renovated, top floor, brick and beam space features beautiful skylights, high ceilings, and rich hardwood floors. There are friendly on-site staff during business hours, beautiful common areas and fully equipped and expandable conference rooms. Private phone booths, kitchenette with free and unlimited coffee, tea, filtered water, and beer and high-speed WiFi. The center is unique in the Boston market – it’s not your typical shared office space. This site offers a sophisticated and luxurious place for professionals to work, designed with the look and feel of a boutique hotel. There is 24-hour security and underground parking available in the building. We are the first shared workspace in the nation with a MetroNaps EnergyPod in our Refresh Room where members can get away from their desk and recharge. Membership includes complementary access to the fitness center in the building. And, every office has Herman Miller adjustable height desks and ergonomic executive chairs. Situated on the 3rd floor of this prominent five-story building, this tech-powered business center is the perfect place for your new offices. Offering fully furnished and well equipped executive suites and open-plan offices, as well as co-working areas. The center also features great facilities such as meeting rooms of varying sizes, a kitchen area and a business lounge area, perfect for co-working as well as relaxed team catch-ups over a coffee. There are also regular client appreciation events held in the center, perfect for networking with other professionals who also work within the business center. It comes equipped with a large kitchenette, flatscreen TV to present, and thoughtful details throughout with plenty of natural light. This space is ready for you to come in and bring your ideas to life. Located in a gorgeous historic building in Back Bay, this sun-lit space is the perfect setting for a team offsite or small workshop. With space for up to 24 people, the room has been designed to allow for flexibility and features conference seating for discussion and lounge areas for contemplation. It also has an en-suite bathroom and kitchenette. This fantastically well equipped and fully functional professional workspace environment has a thoughtful design and numerous minimalist touches to represent exquisite and luxurious working space. It includes flatscreen and a breakout lounge and for presentations and a place to relax away from your desk. Located in South Station, you’ll love this area it also connects to Chinatown, downtown crossing, and park street. There are multiple eateries surrounding the space a variety of other choices for food. The surroundings are lively and full of character, a great place to house your business. This cosy office is ideal for your next office space. Overlooking Copley Square, this center offers private offices, dedicated desks and co-working in an iconic Back Bay building. Located on the 6th floor, members can enjoy stunning views of the vibrant neighborhood from a focused work environment. Grow your business alongside an eclectic community, and enjoy amenities including 24-hour access and security, bike racks, excellent transport links, postal services & mail handling, meeting rooms, conferencing facilities and an on-site management team. This oval office is as outstanding in stature, as it is in historical nature. Sitting just a few stories above “America’s Oldest Tavern,” Bell in Hand, this space will be sure to inspire you and your team. Pull up a chair and absorb the American history, or channel your inner John Hancock, and get in some productive writing time. 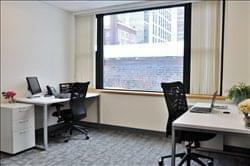 This exquisitely furnished and technologically advanced business center installation is located in the vibrant and highly sought-after downtown Crossing area of the commercially significant corporate hub of Boston. This incredible workspace environment is ready for any type of corporate procedure or requirement, with an extensive range and diverse variety of differing and specialist by giving your team a beautiful, productive space to call theirs. 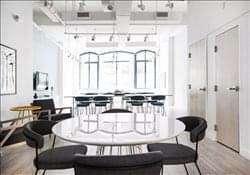 A round table to sit at together and brainstorm and a kitchenette to have snacks handy for brain food, as well as a variety of technologically sophisticated facilities and equipment. To obtain information for your selected Boston Executive Office Suites, please tick the "Add to basket" box for each office you prefer and complete the form below. We will then send a detailed report via email.